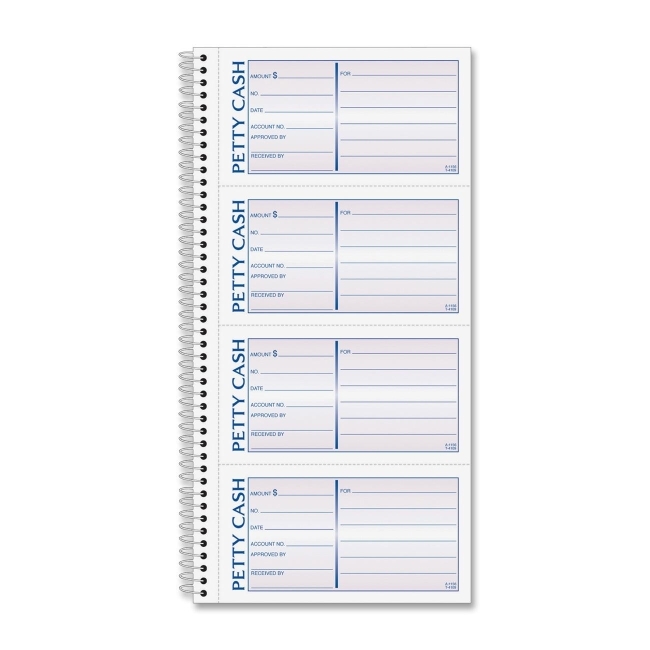 Petty Cash Book is designed for cash payouts. Use part one for receipt or attach to voucher check; part two remains bound in book. Each form offers spaces for a description of the item cost, date, account number, person responsible for approval and person who received the payment. Book contains four forms per page. 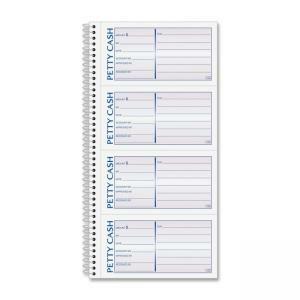 Forms are printed in blue and red ink on carbonless paper for automatic sets. The original is white, and the duplicate is canary. Wirebound book opens perfectly flat.